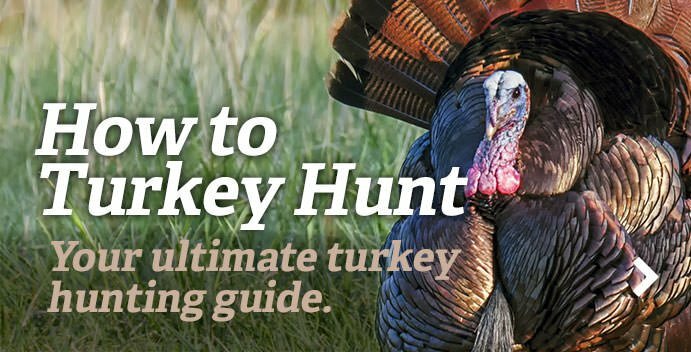 Each of the four Grand Slam turkey subspecies looks, acts and hunts a little differently. Knowing those differences going in will make you more successful. Experiencing them firsthand is what makes a Grand Slam so special. Lowdown: There’s a reason why the best turkey hunters in the nation come from the East: They cut their teeth hunting this son of a gun. Although it’s up for debate whether the Eastern or Osceola is more inherently difficult to hunt, there’s no denying this bird is tough due to the terrain he inhabits and sheer number of rednecks trying to turn him into turkey nuggets every day of the spring. And yet he keeps on; the biggest and baddest, day after day, year after year. Specimens from northern Missouri and Iowa routinely top 25 pounds. Hunting Tips: Although there are indeed untouched populations of Eastern gobblers, some degree of hunting pressure is a near universal factor in hunting this subspecies due to the small size of the average property in the East. Intense scouting that reveals a “Plan A, B, C and D” bird will enhance your success at killing an Eastern more than anything else. Home Range: Eastern wild turkeys outnumber all other subspecies combined, with an estimated 5.3 million of them living in every state east of Texas (and Texas as well), north into southern Canada and south into northern Florida. Transplanted populations can be found in California, Washington and Oregon. Top Hunting State: You can take your pick from many good ones, but for numbers of birds, diversity of terrain and quality of public land, it’s tough to beat Tennessee. Lowdown: Little Beard Syndrome. It seems prevalent in the Merriam’s gobbler, perhaps the most unmistakable of all the subspecies. While a Merriam’s tom will rival an Eastern’s heft, his man parts – we’re talking beards and spurs here – are generally small in comparison to every other subspecies. But he more than makes up for that with attitude. Gobblers in need of company will often respond hard and fast to good calling, and from a long distance. Hunting Tips: Some consider the Merriam’s the easiest of all the species to work to a call. Yet, they present their own unique, and sometimes extreme, challenges due to the country they inhabit. A Mississippi flatlander can’t breathe well on a Colorado mountain. Moreover, just finding birds to hunt can be difficult. The best way to scout on the fly is by covering ground with locator calls at sunset. Merriam’s turkeys are especially prone to gobbling just before dark, and sometimes until the stars come out once they’re settled on a limb for the night. Coyote howlers are deadly locator calls out West. Home Range: The Merriam’s turkey is a species associated with the mountains of the western United States (its original home range was believed to be the Rocky Mountains of Colorado, Arizona and New Mexico), but it’s been successfully re-stocked into a variety of other habitats, particularly the plains areas of South Dakota and Nebraska. Top Hunting State: Nebraska. Although the eastern side of the Cornhusker State is full of hybrid turkeys, western Nebraska is a Merriam’s Mecca. Lowdown: The little long-spurred tom of the tropics. Quite a few hunters would argue the Osceola, rather than the Eastern, is the most difficult of the four subspecies to add to the Grand Slam, but that’s a product of his specialized habitat as much as it is his inherent bad attitude. The Osceola is a bit more reserved than the Eastern, gobbling less on average on the limb and on the ground, but there are loud-mouthed exceptions in every crowd. Osceola gobblers are noticeably smaller than Easterns, with proportionately long legs. Hunting Tips: Interior Florida is cattle country, and sprawling pastures woven between palmetto hammocks and pine timber provide the playground for an Osceola hunt. Hunting this subspecies has similarities of both an Eastern and Rio Grande hunt. The relatively sparse timber and open country can create well-defined roost sites, similar to those used by Rios. The Osceola’s deep, booming gobble and generally slower pace of working to a call is more Eastern-esque. And so you need patience, my friend. Slip in tight to an area where you know the Osceola lives and frequents, and be prepared to spend some quiet time coaxing him into range. Home Range: Peninsular Florida and nowhere else. The population is estimated at 80,000 to 100,000 birds. Top Hunting State: Hunt anywhere you want, so long as it’s Florida. There is a huge amount (5.5 million acres) of public land in the Sunshine State. Lowdown: Everything is bigger in Texas – except the Rio Grande turkeys, which are similar in size to the Osceola. A big tom will weigh 18 to 20 pounds and, like the Osceola, sport a long set of legs and, quite often, dagger-sharp spurs. These are open-country turkeys, apt to wander a couple miles a day through arid plains and brush country – but virtually always returning to the same tall timber or telephone pole to roost at night. Hunting Tips: Rio Grande turkeys are often concentrated near the best roost sites in especially open country, and locating those sites can be critical for morning-hunt success. In areas with more abundant timber habitat – central Kansas, for example – Rios may shift from one cottonwood drainage to another in a day’s time. Getting ahead of these nomads can be exceedingly difficult, but if you know the lay of the land, you can often determine where they are headed and be set up when they get there. Like the Merriam’s, Rio Grande gobblers can be easy to call and are often vocal all day. Home Range: Rios are found in abundance in their preferred home range. Texas, Kansas, Oklahoma and northern Mexico make up classic Rio country, but they’ve been successfully transplanted to several Pacific Coast habitats, including Hawaii. Top Hunting State: With its Walk In Hunter Access program and seemingly endless habitat, Kansas may well be the best state in the nation for a DIY turkey hunt. The Rio Grande is the most common subspecies there.